Cranberry Creek is an active adult community in Little Egg Harbor, Ocean County, NJ. . This adult community of about 325 homes, features a clubhouse, fitness center, heated outdoor pool, bocce, shuffleboard, and tennis courts. Homes range in size from 1200 to 1800 sq. ft. and include 2 - 3 bedrooms and 1 or 2 car garage. Cranberry Creek is close to Atlantic City, the Jersey Shore and the Garden State Parkway. View search results below to see homes for sale in this community. Listings include detailed descriptions, photos and maps. What to learn more about Cranberry Creek? 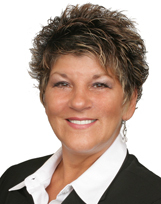 Contact Pattie Romano, an Ocean County RE/MAX realtor.